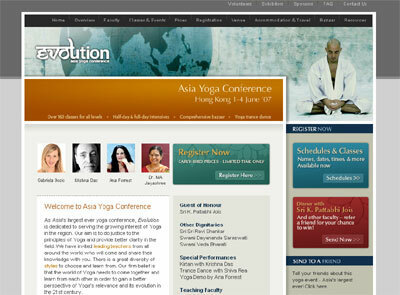 The largest yoga conference in the world is coming to Hong Kong on 1-4 June 2007. Asia Yoga Conference, the organizer of this event, brings together some of the top and most renowned yoga masters from around the world. Known as Evolution, the event aims to unite an extensive mix of yoga traditions and cultures from the east and west, and to promote the general understanding of yoga in the Asian region. Evolution will offer more than 160 classes of many styles taught by its high profile Faculty which includes Guest of Honour Sri K Pattabhi Jois, Sharath Rangaswamy, Ana Forrest, David Swenson and Sri Ravi Shankar. Pattabhi Jois, at 92 years of age, has now taught yoga for some 70 years. The classes will vary in levels and styles, and participants can choose classes that cater to their interests and abilities. 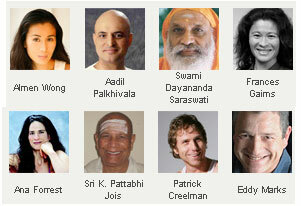 For more information, visit Asia Yoga Conference.